The Clothesline Muse is a multi-disciplinary work that examines the role of the clothesline in African-American culture. Through music, dance and visual art, the project honors the traditions that emerged out of the act of washing and hanging clothes. Six time Grammy-nominated vocalist Nenna Freelon lends her talents to this new devised theater work. A celebration of the significant role played by African-American washerwomen in African-American history and society, the clothesline is used as a metaphor to shed light on the importance of this aspect of our working history. The clothesline is a metaphor for community and communication, so it only makes sense that a performance of “The Clothesline Muse” creates opportunities for your community to engage with each other and learn about the important history of washerwomen. One such opportunity is hosting an installation of set designer, Maya Freelon Asante’s work created specially to compliment performances of “The Clothesline Muse”. This installation can easily reach your audience through the visual arts and create a space for additional artistic dialogue. Your gallery space may also decide to develop programming around the installation. Suggestions include a special tour, a discussion circle about clothes-washing, reception with artists, or interactive lecture on washing-by-hand. There’s no end to the possibilities! For example, The Painted Bride in Philadelphia chose to curate an exhibition of local artwork on the subject of handwashing. You can read more about it HERE. “The Clothesline Muse” is a poignant work which raises questions about history and community, what work means, and who we are. Depending on your audience, the Clothesline Muse herself, Nnenna Freelon, may be available to lead a lecture, talk-back, or discussion about the content of performance, its research, and how deeply the act of washing clothes binds us all together. Nnenna Freelon is a Six-time GRAMMY Award-nominee Nnenna Freelon has earned a well-deserved reputation as a compelling and captivating live performer, most recently in 2007 on In Performance At The White House to celebrate the 20th Anniversary of the Thelonious Monk Institute of Jazz. At the 43rd annual GRAMMYAwards telecast from Los Angeles, she inspired an enthusiastic standing ovation from 20,000 music industry insiders and celebrities when she took to the stage. Kariamu Welsh is a choreographer and professor in the dance department in the Boyer College of Music and Dance at Temple University in Philadelphia, Pennsylvania. She received her Doctor’s of Arts from New York University and her MA.H. from the State University of New York at Buffalo. She is the author of two published books by Africa World Press, Trenton, NJ: Zimbabwe Dance: Rhythmic Forces, Ancestral Voices and An Aesthetic Analysis and Umfundalai: An African Dance Technique. She is the editor of The African Aesthetic: Keeper of Traditions (Greenwood Press, 1994) and African Dance: An Artistic, Historical and Philosophical Inquiry (Africa World Press, 1996). She co-edited African Culture: Rhythms of Unity (Africa World Press, 1985). Dr. Welsh is the artistic director of Kariamu & Co.:Traditions. Maya Freelon Asante is an award-winning artist whose artwork was described by poet Maya Angelou as “visualizing the truth about the vulnerability and power of the human being,” and her unique tissue paper work was also praised by the International Review of African American Art as a “vibrant, beating assemblage of color.” She was selected by Modern Luxury Magazine as Best of the City 2013 and by the Huffington Post’s “Black Artists: 30 Contemporary Art Makers Under 40 You Should Know”. Asante has exhibited her work nationally and internationally, including Paris, Ghana, and US Embassies in Madagascar, Italy, Jamaica, and Swaziland. 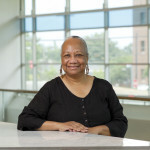 She has been a professor of art at Towson University and Morgan State University. Asante has attended numerous residencies including Skowhegan School of Painting and Sculpture, the Korobitey Institute and Brandywine Workshop. She earned a BA from Lafayette College and an MFA from the School of Museum of Fine Arts, Boston.